Your summer BBQ’s, family reunions or gatherings will be much more fun when you have your own Personalized Summer Beverage Can Wrap. This great design brings that wonderful summertime feeling to anyone who uses it. Personalized with your very own custom message, this Summer Can Wrap makes a unique gift idea for anyone you know. 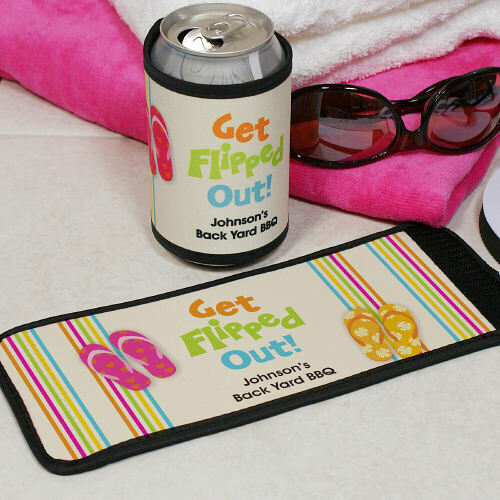 This fun and unique Summer Can Wrap also looks great with our Flip Flops Personalized Doormat. Each gift you choose makes an excellent Personalized Summer Fun Gift idea.